Property damage caused by Hurricane Harvey in just parts of Harris and Galveston counties in Texas could add up to $23 billion, according to a Reuters report based on analysis of satellite imagery. The data from the flood imagery was combined with property parcel maps. The integrated information revealed floodwaters had submerged nearly 30,000 houses in the two counties. The estimated market value of the affected properties seen by satellite is $23.4 billion with 26 percent of that represented by land value while buildings and other improvements made up the remainder. Nearly 18 percent of the property hit by the storm in Harris County is residential. The figure shows only market value and reportedly represents a small fraction of the storm’s reach, as satellite images of the flooding are not complete. Theу cannot expose the depth of the floodwaters or the impact of the wind. All in all, the cost of the storm damage is expected to rise from current estimates of insured and uninsured losses and disaster assistance payments. On Wednesday, Moody’s updated its economic cost projection for southeast Texas to between $51 billion and $75 billion. According to the agency, Harvey might cause overall losses similar or even topping those brought by Hurricane Sandy in 2012. Superstorm Sandy washed out $75 billion, becoming the second costliest natural disaster in 30 years after Hurricane Katrina. In 2005, Katrina caused damage costing $108 billion, and killing at least 1,245 people. 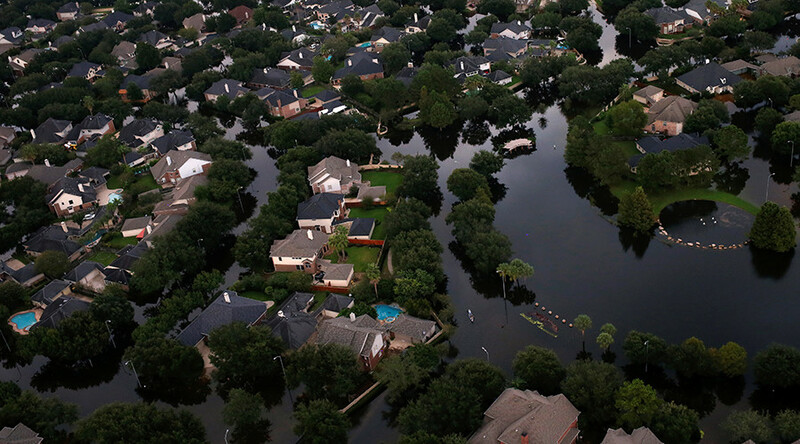 Earlier this week, billionaire investor Warren Buffett said that if uninsured losses from Harvey reach $150 billion, the US economy would be hurt. “I don't think it would be a full percentage point for a year or anything like that. But it has a real effect. It destroys wealth. If there's $150 billion, or something, of uninsured losses that's real wealth,” Buffett told CNBC.